Prior to each sporting event across the country, the game truly doesn't begin until one historic tradition is performed: The National Anthem. 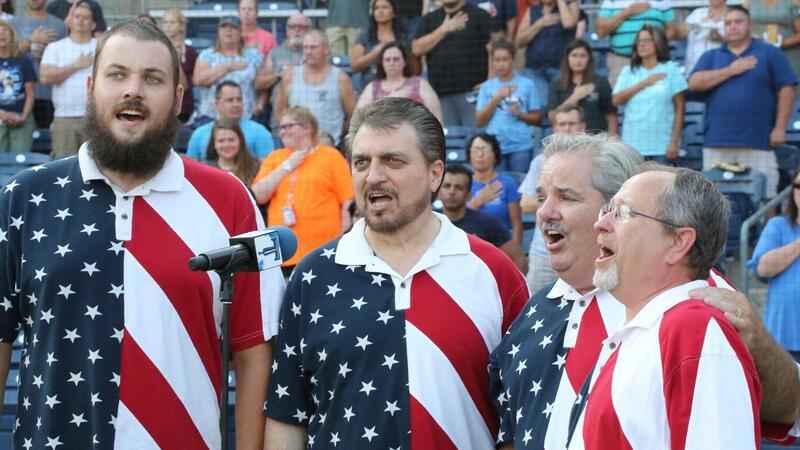 The Tulsa Drillers take tremendous pride in having the most talented local performers start off our games with the singing of the National Anthem. Again this year, we are pleased to provide a special opportunity to local performers interested in showcasing their talent before each game. The Drillers are now accepting video applications from individuals and groups that are interested in performing the Star-Spangled Banner prior to a baseball game this summer. Please include your name, daytime phone number and e-mail address with all submissions. If you have already performed the National Anthem at ONEOK Field you do not need to re-submit an application. You will be considered along with all the new applicants. All entries must be received by Friday, February 8, 2019 to be eligible. The submissions will be reviewed and we will contact a select number of participants to come to ONEOK Field on Saturday, February 16 for an INVITATION ONLY final audition. "This part of the offseason is one of my favorites," said Justin Gorski, Vice President of Marketing for the Drillers. "The National Anthem before first pitch is one of the most important traditions in baseball. The submissions we receive from folks all over Oklahoma and the surrounding areas seems to get better every year. We are always thrilled to showcase this talent in front of Drillers fans and I can't wait to see what 2019's submission process will bring.